George Alfred Chapin was born on 22 February 1873 in Buffalo, Erie County, New York. He married Ida Jeanette Wilson, daughter of William Simpson Wilson and Kate DeYoung, on 1 January 1897 in Buffalo, Erie County, New York, at home of M/M Peter Wilson of Richmond Avenue, R Chapin family history, newspaper wedding announcement, Ida Wilson family bible, names signed Alfrid Chapin, Ida Jenet Wiilson; witness H W Chapin presumed to be George's father Herbert The marriage was witnessed by William Simpson Wilson and Herbert Chapin. George Alfred Chapin and Ida Jeanette Wilson were living in Buffalo, Erie County, New York, at 116 Hawley Street after their marriage. George Alfred Chapin and Ida Jeanette Wilson appeared in the US federal census of 1 June 1900 in Buffalo, Erie County, New York, at 637 Grant Street. Other members of the household included William Alfrid Chapin, Ralph Herbert Chapin and Herbert Chapin. He was an electrician, according to the 1900 census. George Alfred Chapin appeared in the US federal census of 15 April 1910 in Buffalo, Erie County, New York, at 155 Howell Street living next door to Ida's parents.. Other members of the household included William Alfrid Chapin, Ralph Herbert Chapin, Dorothy May Chapin, George Alfred Chapin Jr., Harold Ross Chapin and Paul Westley Chapin. He was an electrician with a steel works, according to the 1910 census. George Alfred Chapin and Ida Jeanette Wilson appeared in the US federal census of 1 January 1920 in Buffalo, Erie County, New York, at 243 Crowley Avenue. Other members of the household included William Alfrid Chapin, Ralph Herbert Chapin, Dorothy May Chapin, George Alfred Chapin Jr., Harold Ross Chapin, Paul Westley Chapin, Ida Cathern Chapin, Chester Edwin Chapin, Margaret Chapin and Viola Jennet Chapin. He was employed as an electrician at a brass works, according to the 1920 census. George Alfred Chapin and Ida Jeanette Wilson appeared in the US federal census of 1 April 1930 in Buffalo, New York, at 243 Crowley Avenue. Other members of the household included Paul Westley Chapin, Ida Cathern Chapin, Chester Edwin Chapin, Margaret Chapin, Viola Jennet Chapin, Harold Smith, Dorothy May Chapin and Irving George Smith. He was an electrician working at a brass company, according to the 1930 census. George Alfred Chapin died on 22 May 1940 at age 67 in Buffalo, New York. Ida Jeanette Wilson became a widow at his death. 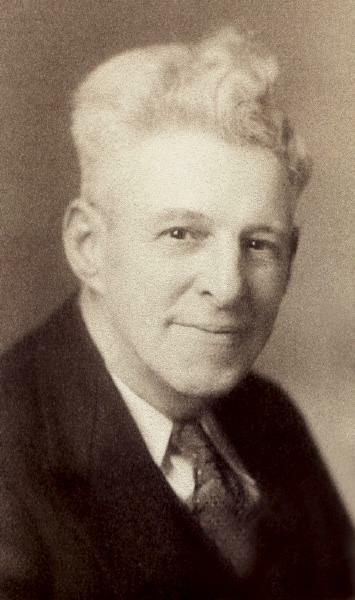 The following appeared in a Buffalo newspaper: George A. Chapin Sr., in this city, May 22, 1940, husband of Ida Wilson; father of Dr. W. A. Chapin of Salamanca, N.Y., Ralph of Sanborn, N.Y., Mrs. Russell M. Clure, George A. Jr., Harold of Buffalo, N.Y., Rev. Paul W. Chapin of St. Joseph, Mo., Mrs. Clarence E. Goss, Chester E., Mrs. Herbert Tomaser, Mrs. James Imburgia of Buffalo. Services at Ed Schisshauer, 126 Grace st., Friday afternoon at 3:30. Friends invited.